Sunday night, February 24th. A WhatsApp message lights up the screen: “One more week.” To us, those three words say it all. One more week before the cyclists come back home. What was before will be forgotten. Victories in Oman, the South of France or Argentina: none of those will matter anymore. One more week. One more week. One more week. Just one more week, and the Omloop kicks off the racing season. Although the race’s full name is ‘Omloop Het Nieuwsblad’, everyone still prefers ‘Omloop Het Volk’. Better still: ‘’t Volkske’. Daily newspaper Het Volk (The People) had been organising the race that leads into weeks of Belgian bicycle races up until the moment Het Nieuwsblad took over the paper and with it the Omloop. For many years, they have been using the slogan, “Bicycle racing is ours.” Now, that is annoying. Whose is it, exactly? The newspaper’s? Flanders’? Is bicycle racing a matter of identity? Please, don’t tell me that’s true. 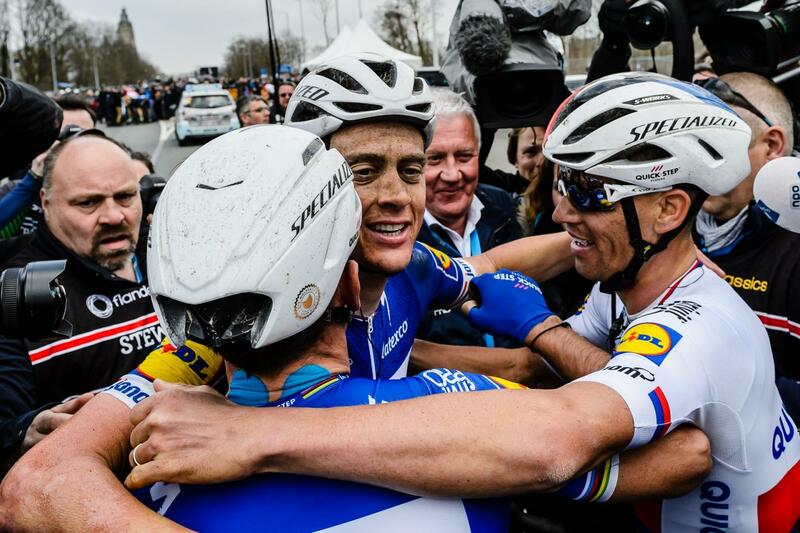 We embrace every single cyclist, though we prefer ours to win – there is no doubt about that. 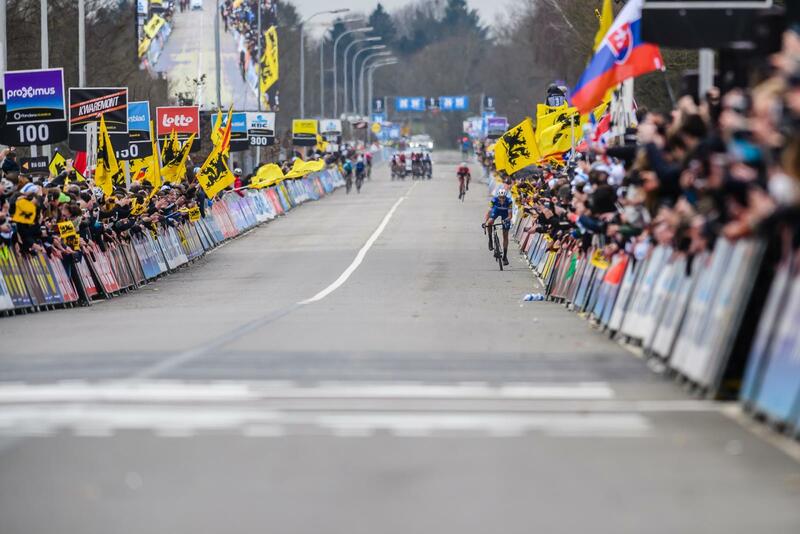 Yet in Flanders, we love the race, and believe the best racer should win. Bicycle racing isn’t ours. No matter how mad about it we may be. So, one more week. 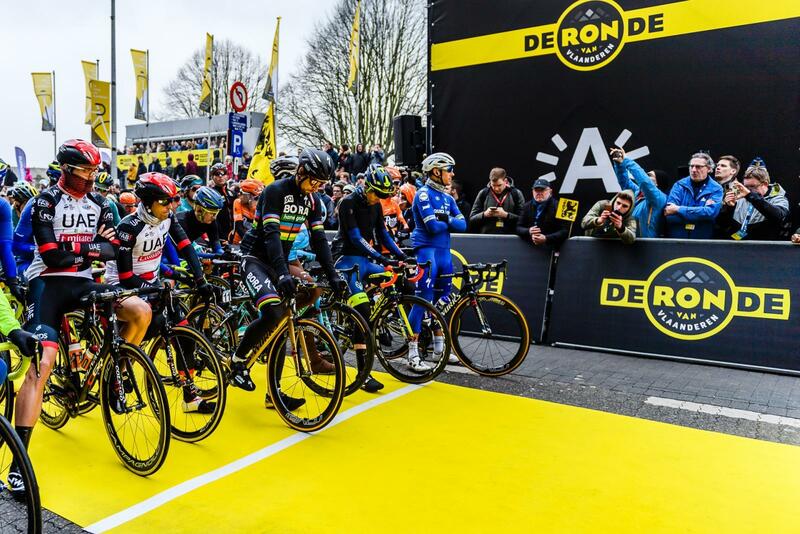 When you’re reading this, you will know whether Greg Van Avermaet finished first, whether Sep Vanmarcke triumphed once again, or whether Philippe Gilbert, Jasper Stuyven or Jasper Philipsen were victorious. Perhaps someone else entirely took the prize. 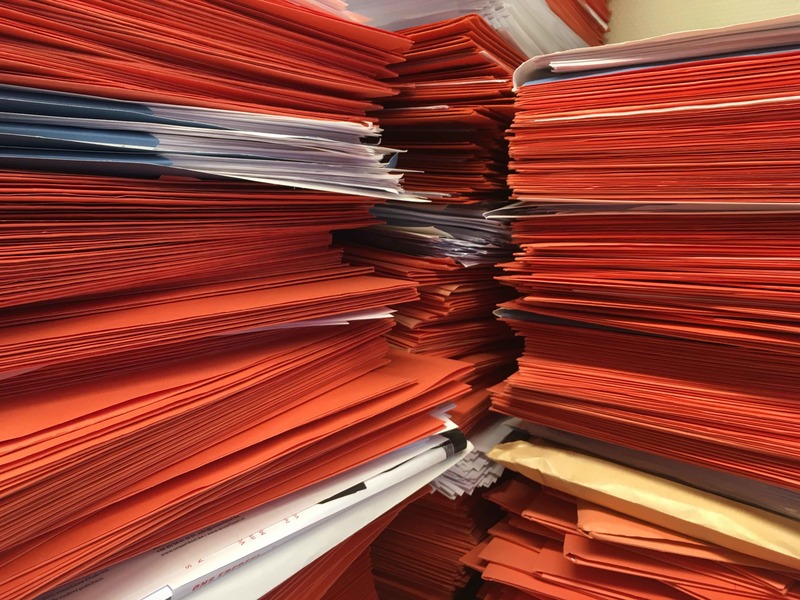 From this moment on, the sports pages will be filled to the brim with cyclists, stories from way back when, breaking news hot off the presses, deliberations, pre-race debates, memories, stories of bad luck, victorious images – all of them featuring our heroes. This will definitely be the case up right until the queen of the cobblestone classics, Paris-Roubaix. You have to be born in Flanders to be able to feel this way. You had to read ‘Het Volk’ as a child. You’d see granny – not granddad, granny! – jump up from the sofa when Walter Godefroot was heading towards a solitary victory. 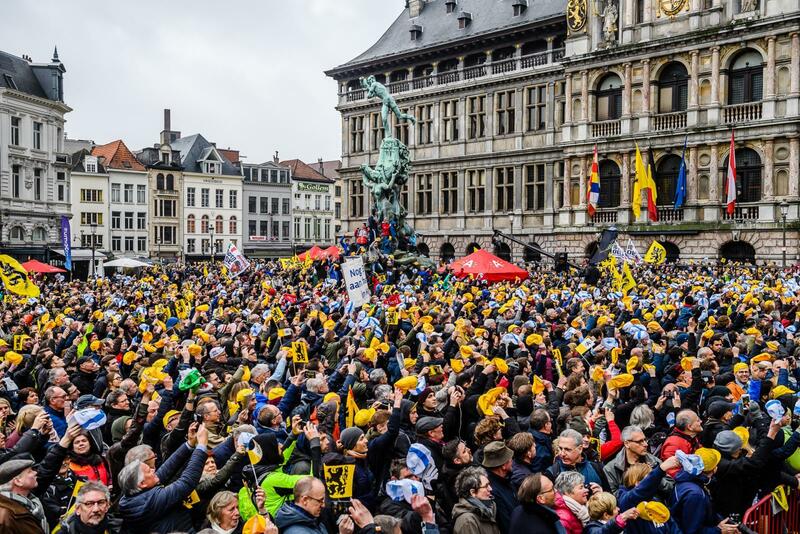 You’d hear radio sports commentator Jan Wauters’ voice tremble while doing live coverage of Edwig Van Hooydonck’ attack of the Bosberg, and his words would come rumbling over the cobblestones right into your living room. You would get the chills when confronted with the young cyclist’s tears, on the television screen. Eddy Merckx, obviously. The soundtrack of our youth: Fred De Bruyne, another jubilant TV reporter, screaming “Eddy, Eddy, Eddy” at the top of his lungs. The love for the race is passed on from one generation to the next by our parents, who read sports reporter’s Karel Van Wijnendaele’s stories. So, is it in our DNA? The concept is too modern – we simply weren’t familiar with it when we were young. We’d race home (he’d be Eddy Merckx, he’d be Freddy Maertens, he’d be Roger De Vlaeminck) to watch the cyclists reach the Milan-San Remo finish line. That’s more than just our DNA. Those are young boys’ bodies made up out of dreams that are larger than life (“To Become A Cyclist!”),every single fibre tense, looking down at your legs and enjoying the swooshing sound of your Raleigh bike’s wheels with their shiny spokes. Looking back many years later, can we call this ‘nostalgia’? These memories are crystal clear, and every single year of your life is linked to triumphs and Tour victories. The summer of 1976 was a scorcher, but more importantly: Lucien Van Impe won the Tour de France. 1978 might have been the year of your Holy Communion, but, first and foremost, it was the year in which Eddy Merckx quit racing. On July 14th 1989, while on holiday in Spain, you, sat in a bar in the swelteringly hot town of La Almunia de Doña Godina, witnessed how Vincent Barteau won a stage in the Tour de France. Who remembers facts like those? We do. Formations of new governments, the winners of the Nobel Prize in Literature, the Falklands War, or the passing of Pope John Paul II are not engraved in our memories in the same way the winners of the 1974 Tour de France, the 1982 Tour of Flanders, or the 2005 world champion are. Bicycle racing hasn’t been ‘ours’ for a while now. Danes have won the Omloop, Britons were victorious in the Tour de France and both Kazakhstan and currently Bahrain sponsor cycling teams. We shouldn’t allow ourselves to dwell on this for too long. What we do have left is the notion of the ‘flandrien’, a term coined by journalist and race organiser Karel Van Wijnendaele in Het Rijke Vlaamsche Wielerleven. Wikipedia states: “A flandrien is a cyclist who makes a bicycle race tough by continually choosing to attack, and to keep on cycling until he reaches the finish line in a state of complete exhaustion.” The term is used for Flemish cyclists in particular, and is currently embodied by Yves Lampaert. The best Belgian cyclist of the year is annually presented with the ‘Flandrien of the Year’ award (Lampaert holds the most recent one, whereas the five previous editions were consistently won by Greg Van Avermaet, and before that, Tom Boonen came out on top). However, in cycling the year is 2019: Lampaert is driven to the start in a state of the art bus, rides a bike with a price tag of about 15,000 euros, and does not win every single race. His team leaders speak English as his teammates have many different nationalities. Nevertheless, us Flemings and Belgians, we hold them all dear. We love each and every one of them. Director Koen Mortier made Engel (Angel), a film inspired by the tragic story of star bicycle racer Frank Vandenbroucke. Even our art craves cycling. We shouldn’t forget about the Flemish roads, the Flemish ‘mountains’, our passes called ‘Paddestraat’, and ‘Oude Kwaremont’, ‘Koppenberg’, ‘Paterberg’, ‘Berendries’, ‘Haaghoek’, ‘Molenberg’, or ‘Kluisberg’. Mountain, mountain, mountain: steep cobblestone roads that, at times because of cycling, will never be replaced. Asphalt or concrete don’t stand a chance. Should a Flemish politician ever decide to asphalt the Koppenberg he is shooting himself in the foot, and will be out of a job within a week. At least, in case furious cycling aficionados don’t decide to shoot him sooner. When ‘de Muur’ (the Wall) was eliminated from the Tour of Flanders, it featured heavily in the news. Soon, mass demonstrations ensued. Cyclists were asked to give their opinion. Although the race organiser stuck to his guns, he was forced to ‘rehabilitate’ the Wall to some degree. Maybe that’s it. Cycling is to Flanders what the right to keep and bear arms is to America, and the reasonable speed obligation is to Germany: you simply don’t touch it. Sunday night, February 24th. Greg won the Tour of Valencia, Sep came out on top in the Tour du Haut Var, and Gilbert beat all competitors in the Provence. Newspaper headlines read, “Our heroes are ready”. Only in Flanders.